Leftist feminist groups offended by "hidden chauvinistic messages" in naming sites 'Sarah' and 'Mira'. Women's groups, some of which are associated with the radical left, issued a statement Sunday condemning companies seeking oil and gas for giving their wells feminine names. Globes financial website reports that the "outrage" is over a new well named Sarah 1, which follows a failed well called Mira that caused the participating companies' investors heavy losses. "We regret that those who made up the names Mira and Sarah imagined women when they thought about places to drill," eight women's groups said in a joint statement. "We are sorry to surprise them – but our names and bodies are not for drilling, and names like this are exactly what amplifies the perception of women as objects for penetration and drilling." "The inventors of these names would be well advised to immediately remove the names of women from the drilling of their thoughts, and to understand that – consciously or not – they have assisted the most objectifying and derisive discourse toward women." "It is unfortunate that when dealing with matters as central as gas drilling, we have to deal with the hidden chauvinistic messages of these matters," said the groups, some of which are associated with the New Israel Fund. Globes notes that the women's groups were probably not aware that wells are traditionally named after relatives of the geologists who discover the fields. "Tamar" was named after geologist Yossi Langutzky's granddaughter, whereas Mira and Sarah are the names of the daughters of geologist David Peace of PetroMed. 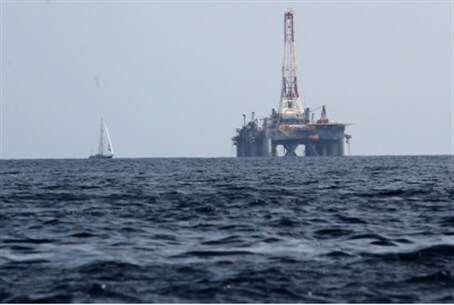 The website notes that many drill sites bear male names, such as Shimshon and Yishai, while others, like Leviathan and Tanin, are named for sea creatures.